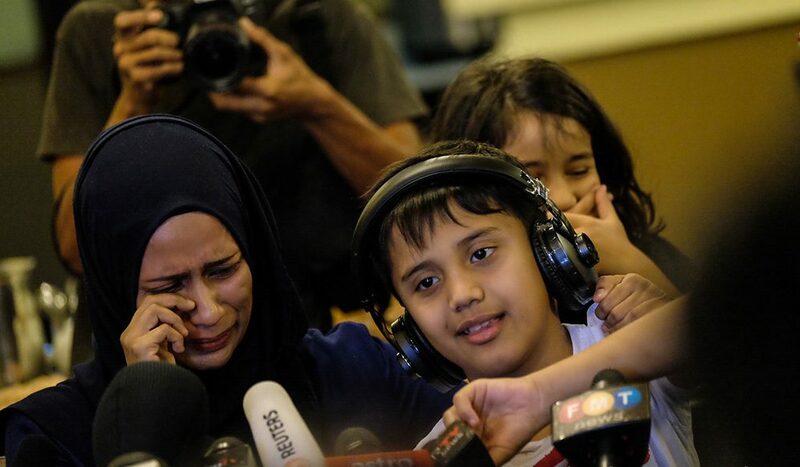 Ten-year-old autistic child of Ihsan Aslan, a Turkish businessman who was detained in Malaysia last week, has been physically harming himself to express his sadness, his mother Ainnurul Aisyah Yunos told press on May 8. Unable to talk, Rafael slaps his face repeatedly and bites his arms to cope with his father’s absence, Yunos said during a press conference. The couple has two other children aging between 2 to 10. Aslan was arrested along with Turgay Karaman– the principal of Time International School in the city of Ipoh – over national security charges, on May 2. Only two days after their arrest, Ismet Ozcelik – a university director also residing in Malaysia – was rounded up on the same charges. However, Turkey’s state-run Anadolu news agency said that the three are linked to the Gülen movement, which the government accuses of masterminding the July 15, 2016 coup attempt. The government earlier asked foreign governments to go after Gülen followers in their own countries. “I am worried that my husband may be deported to Turkey without fair trial in Malaysia,” Ainnurul also said. Amnesty International launched May 5 an urgent action campaign for three Turkish nationals, asking people to call on Malay officials to avoid extradition. “There are also concerns that they could be at risk of torture or other ill-treatment, unfair trial or other serious human right violations, should they be returned to Turkey,” Amnesty said echoing Human Rights Watch and UN Human Rights Office in South-East Asia.